You don’t have to be a professional florist to know what flowers to include in your sympathy arrangement.Here is a guide on how to choose sympathy flowers, including types of flowers to send and their meanings. Food and flowers can bring a measure of comfort to those grieving the loss of a loved one. While food feeds the body, flowers feed the heart of the bereaved. 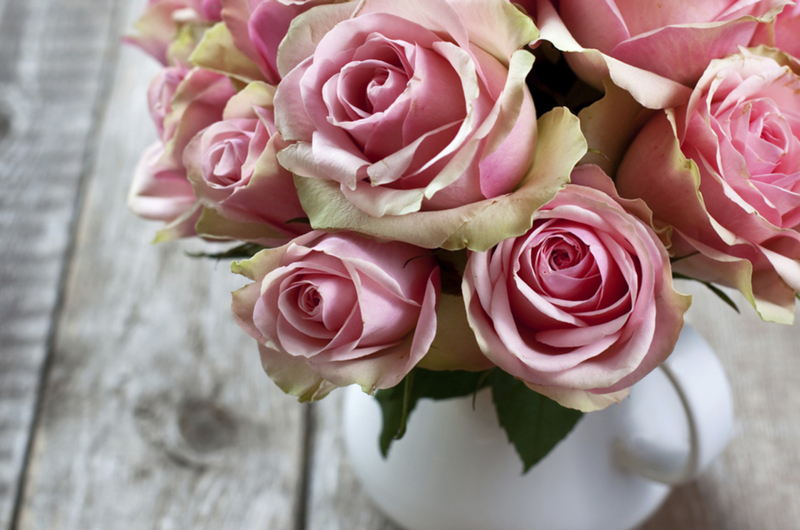 With their vivid colors and beautiful scents, flowers bring a glimmer of hope and happiness during the mourning period. You can send them to visitation, the services service, graveside, the family’s home, or to the office. While flowers like roses and lilies have traditionally been used in arrangements and will never go out of style, it is becoming increasingly common to use a greater variety of flowers and more personalized sympathy notes. When you learn how long human beings have been using flowers as a tribute to dead loved ones, you’ll understand why they bring such comfort. It seems as if flower pollen has somehow become part of our DNA. In 1951, an American archaeologist unearthed several incredibly old burial sites in Iraq, and collected soil samples from the graves for pollen analysis. What he found was astounding: the samples were dated around 62,000 B.C. and it was concluded that no birds or animals could have possibly placed the flowers where the pollen was located. Even as long ago as this, grieving loved ones collected flowers for their loved one’s services as a beautiful tribute. Act as a reminder of the love and support the family received through the services and will continue to receive. Traditionally, sympathy flowers are sent either to the services home for visiting hours or to the church for the service. Increasingly, many people are now choosing to send sympathy flowers a week or more after the service and to the family’s home as a way to remind the bereaved that they are still in people’s thoughts through the grieving process. Typically friends and family will be available immediately after a loved one has passed, offer a lot of attention and condolences, and then after the services and burial, leave town and go back to their everyday lives. Even if you send flowers to the service, consider sending flowers a month or so after the services to the family’s home to remind them they are loved. Lilies: With their stark, waxy white petals and strong aroma, lilies have long been the go-to services flowers that contain significant meaning. Lilies symbolize the spiritual journey of the departed and that their soul has returned to a state of grace and peace.